Volcanes son un gigante dormido listo para entrar en erupción. Fundada a partir de las cenizas de los míticos The Faith Keepers saltan con descaro por las ramas más duras del soul, el jazz y el funk pero con madurez e investigación en cada tema y cada sonido. Sudor, elegancia y baile al servicio de un show que es pura entrega y pasión. Demuestran ser una maravillosa rareza en el panorama musical actual, con un espectacular frontman y una banda de alto nivel que pone toda su maestría al servicio del ritmo. pero exitosa gira. En este 2019 publican ‘Revolución Interior’ en el que consagran un sonido muy pulido. Hablar de Volcanes irremediablemente nos lleva a recordar al proyecto del que surgió; The FaithKeepers. Bajo este nombre realizaron la mayor parte de su trayectoria. En 2010 irrumpieron en el mapa al lanzar su primer LP homónimo que contenía el famoso tema “Don t́ Worry ‘Bout Later”, elegido por Adidas para su spot publicitario de la final de la Copa del Rey de fútbol de 2011. Volcanes, no sin antes haberse consagrado como una de las bandas del género más valoradas en España ganando seguidores, concursos y tocando en varios de los festivales más importantes como Territorios Sevilla, Monkey Week, Pirineos Sur, Fiz, Enclave de Agua, Black is Back, Euroyeyé, Imagina Funk, Slap! Festival, Festival Jazz de Zaragoza, en los que compartieron cartel o escenario con artistas nacionales e internacionales como Kase O, Femi Kuti, The Impressions, Vintage Trouble, Eli Paperboy, The Bellrays, The Pretty Things, Jon Spencer Blues Explosion, Lisa & The Lips, Mala Rodriguez, Julián Maeso y un larguísimo etc… Este proyecto en castellano supone una depuración, nuevos horizontes en su sonido y una evolución que promete ser trascendental. Cabe destacar por último que entre sus filas cuentan con ambos Los Bengala, la reconocida banda de garage punk que ha dado mucho que hablar en los últimos años. Volcanes are a sleeping giant ready to erupt. Founded on the ashes of the mythical The Faith Keepers, they jump shameless through the hardest sides of soul, jazz and funk with maturity in each and every song. Perspiration, class and dance are at the heart of every show which is delivered with pure devotion and passion. They prove to be a wonderful rarity in the current musical scene, with a spectacular frontman and a top notch band. Volcanes are committed to showing the world there is great soul music coming from Spain. They released their first EP “Levántate” accompanied by a short but successful tour in 2017. The much anticipated follow up ‘Interior Revolution’ is due out in 2019 with a masterfully polished sound. Talking about Los Volcanes inevitably leads us to remember the project from which it emerged; The FaithKeepers. In 2010 they burst onto the musical scene when they released their first self-titled LP that contained the famous song “Don t Worry ‘Bout Later”, chosen by Adidas for its advertising spot for the 2011 Copa del Rey final match. 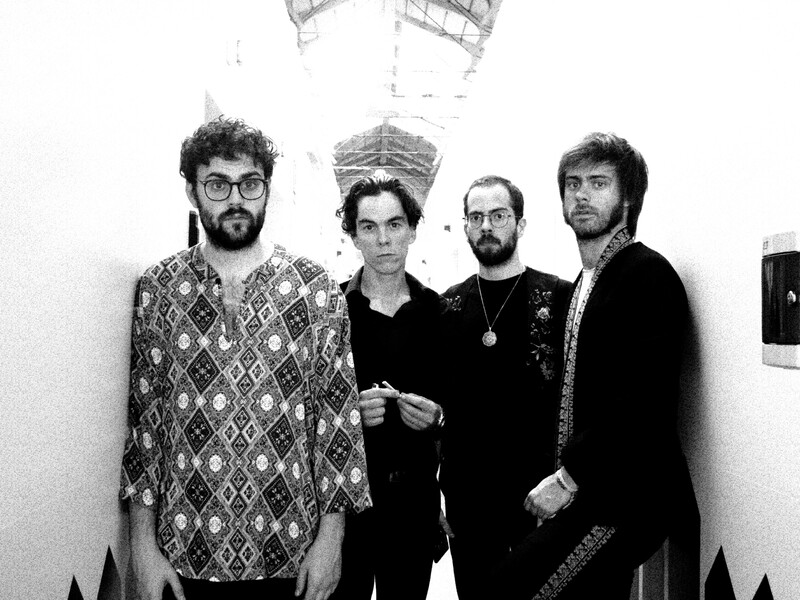 Later, they published ‘Leap of Faith’ in 2015 and ‘Kuyé’ in 2016 to finally pay attention to their heart and change to Spanish by changing the name to Volcanes, not without having been widely accepeted as one of the most valued bands of the genre in Spain gaining followers, contests and playing in several of the most important festivals such as Sevilla Territories, Monkey Week, South Pyrenees, Fiz, Water Enclave, Black is Back, Euroyeyé, Imagine Funk, Slap! Festival, ZGZ Jazz Festival, in which they shared line up or stage with national and international artists such as Kase O, Femi Kuti, The Impressions, Vintage Trouble, Eli Paperboy, The Bellrays, The Pretty Things, Jon Spencer Blues Explosion, Lisa & The Lips, Mala Rodriguez, Julián Maeso and many more…. This project in Spanish means a purification, new horizons in its sound and an evolution that promises to be transcendental. It should finally be noted that -in their line up- there’s still both members of Los Bengala, the renowned garage punk band that has offered much talk and records in the past few years.